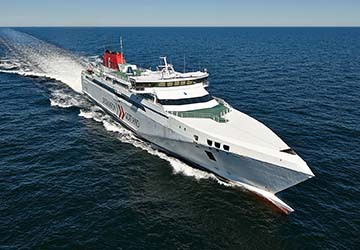 Destination Gotland - View timetables, Compare and book ferry tickets at directferries.ie. 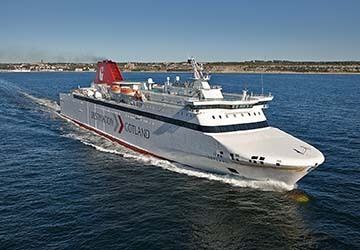 Destination Gotland operate the popular ferry crossing between the Swedish mainland and the island of Gotland on behalf of the Swedish government. 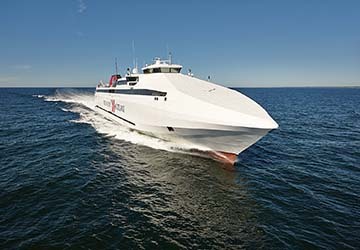 Operating one of the most modern ferry services in Europe, the Destination Gotland fleet consists of four high speed ships and transports more than 1.6 million passengers to Gotland annually, in addition to nearly half a million vehicles. Destination Gotland ferries depart from the Swedish mainland ports of Nynäshamn and Oskarshamn and sail to Visby which is located on the west side of Gotland. With up to 18 rotations daily in the peak summer season, the crossing from Nynashamn takes just over 3 hours while from Oskarshamn it’s a little quicker at just under 3 hours. There is plenty to see and do on board the ferries too including a selection of eating areas, a shop, a dedicated playroom for children and a cinema. Whether you want breakfast, a snack, a larger meal or just a coffee, you’ll be well looked after. The Food Market is always open from departure, irrespective of when you travel and the ship's restaurant serves food to suit all tastes and budgets, hot and cold. The on board shop has a wide range of sweets, drinks, newspapers and magazines as well as a range of Gotlandish delicacies and souvenirs. On the bigger ferries, you’ll find an on board cinema. For the younger passengers there is a playroom and a children’s cinema. You can also rent a Nintendo DS. Direct Ferries provides a ferry timetable and price comparison, based on your search criteria, allowing you to compare Destination Gotland products with multiple ferry company timetables and fares in one search. 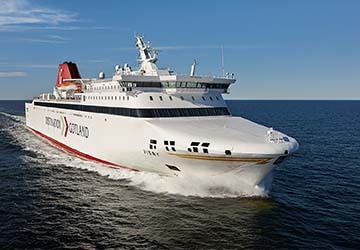 Compare Destination Gotland timetables and prices now with all alternative ferry operators before booking your ferry ticket to ensure you get the best option for your ferry trip.